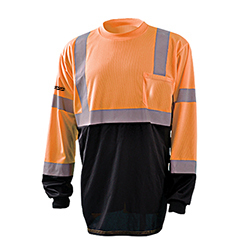 ANSI Class 3 3.8 oz., 100% wicking polyester fabric. 2" Silver reflective tape. Black bottom to hide dirt. Left chest pocket.